A friend of mine is into Warhammer 40k. 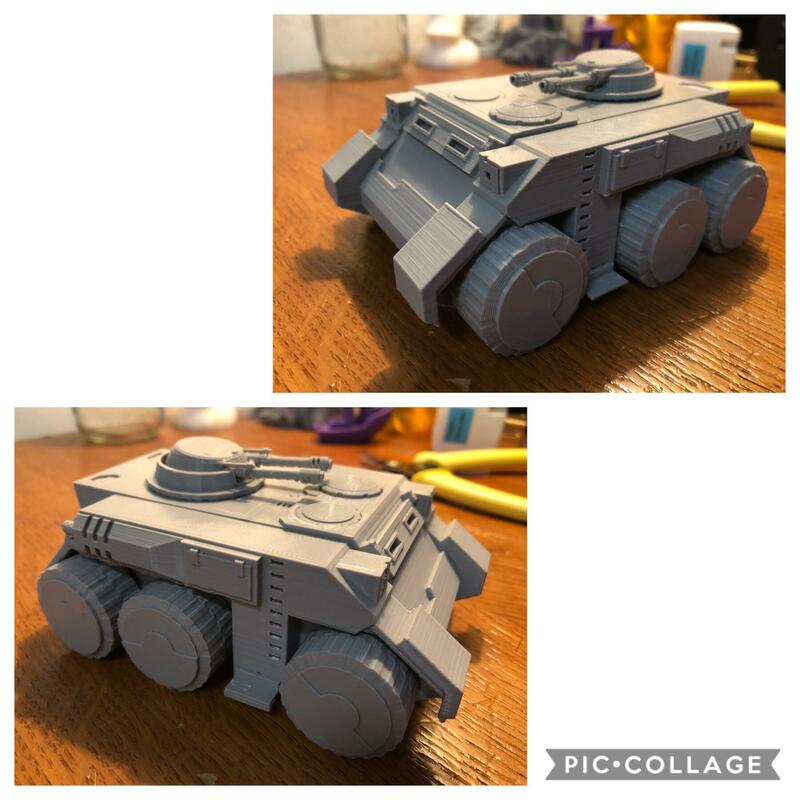 I printed him a Skylion Troop Transport? Fit and finish are on him.